It seems that there isn’t a part of our daily lives that technology hasn’t begun to transform. We listen to music by asking AI devices to pick a good playlist, and we’re fed our news through algorithms and location tracking. Now, we can even expect to see technological advancements in regular grooming routines. It almost goes without saying that shaving is one of the areas we’re always going to be grateful to see improve. The days of single-blade razors dangerously close to our necks are over thanks to technological innovation. Many of the major players in the grooming industry are beginning to incorporate new advancements like artificial intelligence and virtual reality into their offerings. Of course, we haven’t quite reached a point at which our grooming devices can do everything for us. It continues to take a smart human touch to keep a beard or mustache well-trimmed and healthy. However, technology can help make the whole process that much easier. 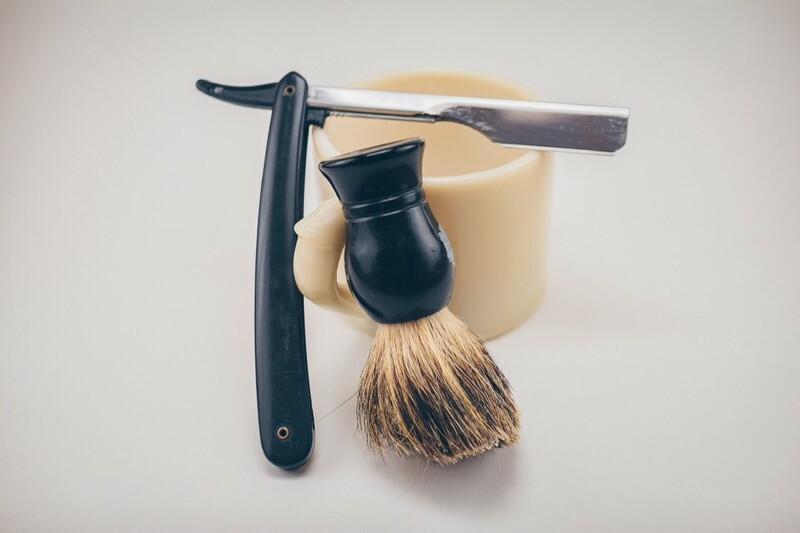 It used to be that to get a good shave, you had to visit the barber regularly and they would use a single straight razor to expertly groom your facial hair. You could also replicate this experience at home, but shaving with one blade isn’t as simple as it sounds, and learning how to use one effectively can be painful (literally). Thankfully, electric razors came along and are now widely available to anyone. Electric razors are generally ergonomic, with multiple high-speed blades that trim hair faster and safer than a traditional razor. Depending on your preferences, you can find model that fits your exact needs. The top razors on the market offer safer, smoother shaves, reducing nicks while offering a cleaner trim. Additionally, some razor companies are introducing AI into the works, creating a safer and smarter shave for your morning routine. Phillips, for example, unveiled their first AI electric razor at CES 2019. It syncs with an app on your smartphone to provide feedback and guidance for the best shave based on your regular routine. Phillips worked with a team of dermatologists to ensure that the app looks out for your skin, helping those with sensitive skin enjoy a regular shave. One of the more surprising technologies to grow within the grooming industry may be blockchain. Blockchain is a system in which a “chain” of records of transactions made with cryptocurrency are maintained across many devices that are linked in a peer-to-peer network. It’s been heralded as one of the most secure and efficient ways of creating encrypted registries and managing finances. As it continues to grow and blossom in a variety of industries, blockchain has begun to find its way into the grooming and hygiene world. Champion Shave is the first company to tie blockchain to its shaving products, using a combination of cryptocurrency and gamification. Its latest endeavor is headed by some of the biggest champions in the sports world, like Usain Bolt and Dominique Wilkins. Champion Shave has created a blockchain marketplace where customers can invest in Champion Coin and use the cryptocurrency to purchase men’s grooming products. Customers will also get advanced access to exclusive rewards redeemable for Champion Coin. The company plans to have their marketplace completed and launched by 2022. However, regardless of how advanced grooming technology becomes, you must continue to always use common sense. An electric razor is still a machine, and for all its safety features, it isn’t going to warn you before you nick yourself with a dull blade or begin shaving a part of your body best left alone (not yet, anyway). You also have to judge for yourself when it comes to stylistic choices. One of the biggest health concerns in men’s grooming is tied to shaving the pubic region. There’s no technological solution yet for the risks that can come from shaving pubic hair, so it’s up to the user to be safe and healthy in their employment of a razor, even if it’s “smart.” This may mean being up on the latest research in men’s grooming. For example, a recent study found that men who shaved their pubic hair were at an increased risk for contracting sexually transmitted infections (STIs). The study found that “extreme groomers” who waxed or shaved their pubic region monthly quadrupled their risk of an STI. This is essentially because grooming could lead to irritations or tears in the skin, exposing the body to infection. While there is always going to be a more technologically advanced way of going through our daily routines, it’s crucial to check with yourself as to which options feel best for you. If you’re an electric razor fan, then consider how many bells and whistles you truly need. If you’re a convert to the world of AI, then you’re in luck — your next smartest shave may be just around the corner. Technological Advancements in Grooming: Innovations in AI, VR, and Blockchain was originally published in Hacker Noon on Medium, where people are continuing the conversation by highlighting and responding to this story.